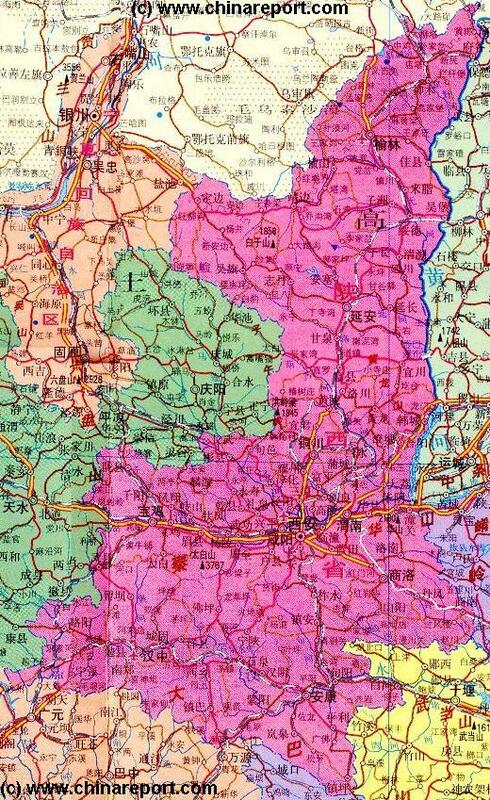 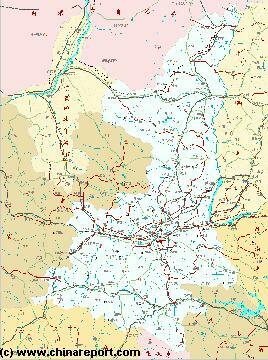 Shaanxi Province is -- no information available. 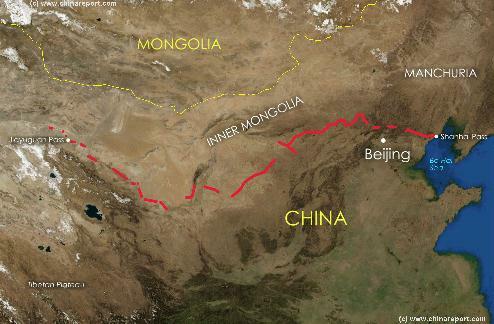 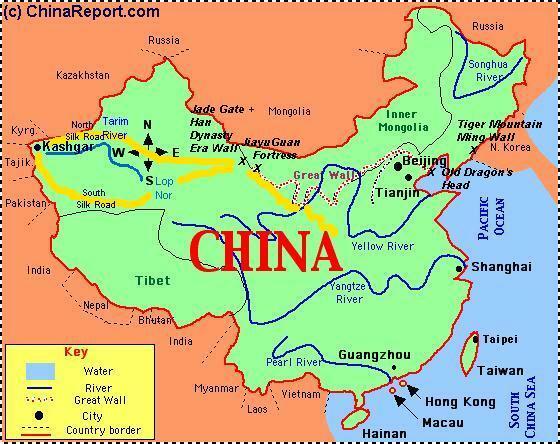 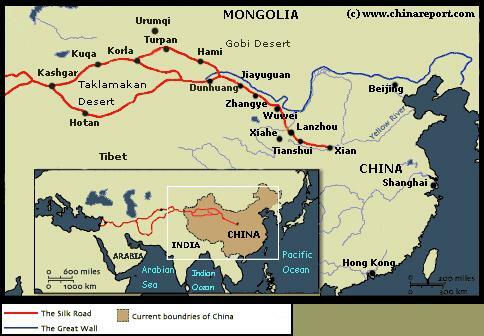 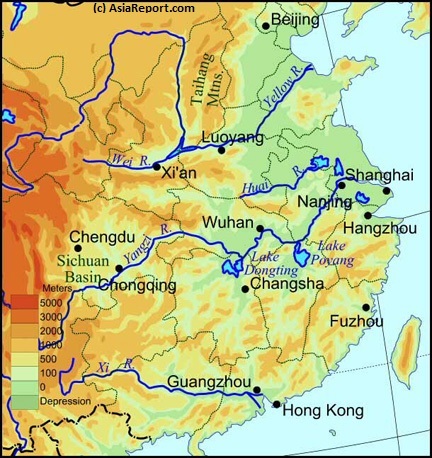 Image: Rough Schematic Map of China, the Path of the Great Wall and its relation to Cities, Nations, Rivers and the Pathway of the Ancient Silk Road in China with Lanzhou as the crossing point of the Yellow River. 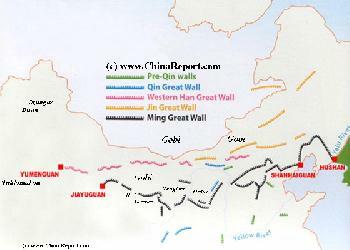 Without doubt the main tourist highpoints of Shaanxi Province - no information available. 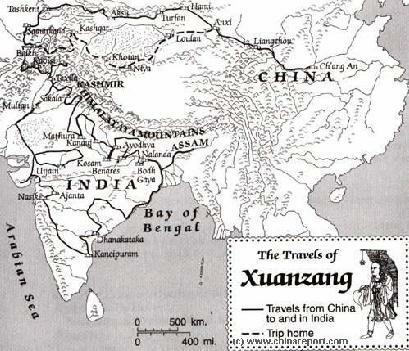 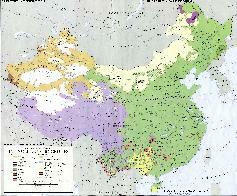 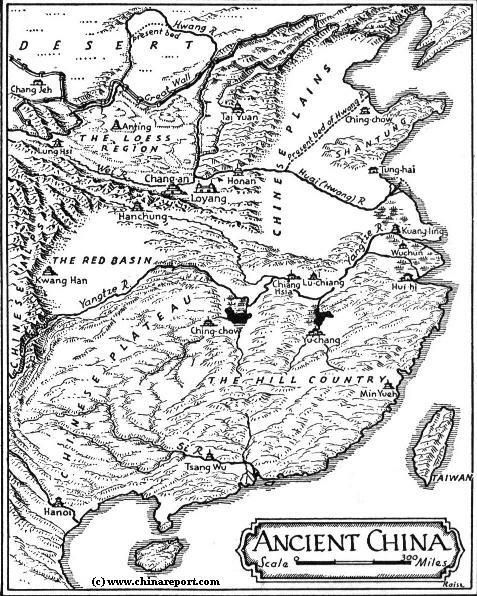 As an extension of the development of cities like Xian and a further strengthening of the economies of the inland provinces as planned by the Central Government under the marching banner ∢Go West Policy∢ the region of Xian and the Guanzhong plain are currently being developed as part of a triangle of cities which are to serve as economic engines for the wider western regions of the Peoples Republic. 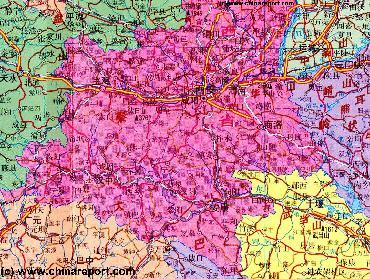 In the desired situation the city of Xian is to join its strengths with the cities of Chengdu and Chongqing in order to develop a base of high technology industries serving the west and the wider nation.